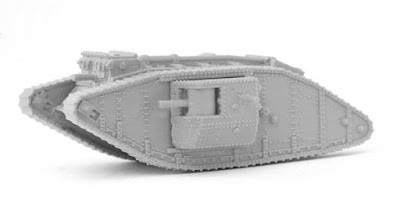 The master models for the WW1 British Mark IV Male and Female 12mm (1:144 scale) tanks are now ready for moulding. The finished tanks will include the unditching beam and support bars and will be cast in lead free pewter. We are aiming for the first production run week commencing 13th Feb!